Xiaomi Mi Play debuted in China earlier this week as the first model in the company’s Mi Play series. The smartphone has some major differences from the existing Xiaomi phones, including a waterdrop-style display notch and a gradient-finish back. The Mi Play also has an octa-core MediaTek Helio P35 SoC. It also sports a dual rear camera setup, paired with an LED flash module. 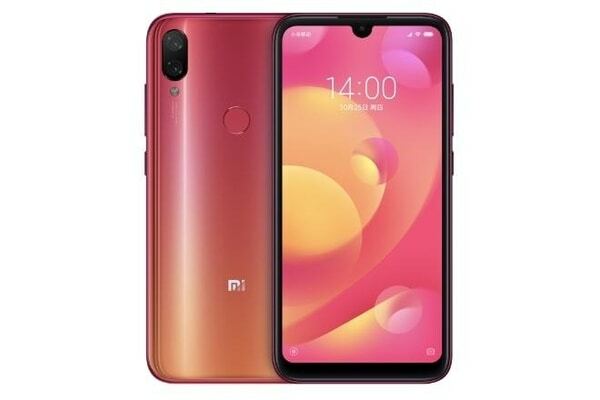 While the Mi Play was initially launched in lone 4GB RAM and 64GB storage configuration, the handset recently received 6GB RAM as well as 128GB storage variants. With all these new additions, the Xiaomi Mi Play comes as a complete package in the budget segment. There is also a price tag of CNY 1,099 (roughly Rs. 11,100) for the 4GB RAM/ 64GB storage variant of the Mi Play, while its 6GB RAM/ 64GB storage model is priced at CNY 1,299 (roughly Rs. 13,200) and the 6GB RAM/ 128GB storage variant is listed at CNY 1,599 (roughly Rs. 16,300). These competitive price options make the Mi Play a strong contender against the Honor 9N and Nokia 6.1 Plus. Now, let’s look at some of the top features of the Xiaomi Mi Play that are making it an attractive affordable smartphone to buy in 2019. The Xiaomi Mi Play features a 5.84-inch full-HD+ (1080×2280 pixels) display along with a 19:9 aspect ratio. While the display panel is fairly large in size, Xiaomi has for the first time used a waterdrop-style notch that makes it look even larger – thanks to the tiny cutout at the center for the selfie camera instead of a wide notch that was available on the Redmi Note 6 Pro and Redmi 6 Pro. Xiaomi claims that despite having a large display panel, the body of Mi Play is equivalent to a smartphone carrying a 5.1-inch display. There is also a 1,500:1 contrast ratio. Apart from the hardware and the design, the Xiaomi Mi Play comes bundled with 10GB free data access per month. The data benefits are notably for the first 12 months only. Xiaomi says that with the free 10GB data bundling, users will be able to listen to 2,600 songs or watch 200 episodes of a TV series per month. The Xiaomi Mi Play moves along with ongoing market trends and sports a dual rear camera setup. The camera setup includes a 12-megapixel primary sensor along with 1.25-micron pixel size and a f/2.2 aperture and a 2-megapixel secondary sensor. Also, there is an LED flash at the back. The rear camera setup supports EIS (Electronic Image Stabilization) to reduce jerks in videos. Further, there is artificial intelligence (AI) powered features such as Portrait mode, HDR, and a street shooting mode. Not just the rear camera, the front camera of the Xiaomi Mi Play also uses AI to enhance your selfies. The frontal camera is powered by an 8-megapixel sensor. On the part of features, there are front HDR, facial recognition, Portrait mode, Mirror, and a self-timer. The display panel of the smartphone can also be transformed into a flashlight to enhance your self-portraits. One of the key things that make the Mi Play a distinguished offering against other budget Xiaomi models is its glossy design that matches the build of many Honor, Oppo, and Vivo models. The smartphone also has a gradient finish. The Xiaomi Mi Play comes in Black, Dream Blue, and Twilight Gold color options. These also aren’t in line with the Black, Blue, and Rose Gold color variants of the previous budget Xiaomi smartphones that had a matte finish on top. The Mi Play is also the first smartphone to have the MediaTek Helio P35 SoC. The new Helio-series SoC by the Chinese company works with IMG PowerVR GE8320 GPU and uses the MediaTek CorePilot technology to deliver a power efficient experience. The SoC is said to use an intelligent task scheduling system along with thermal management and user experience monitoring technology to prioritize tasks and predict power usage. The 12nm process based Helio P35 also works with MediaTek’s EIS and Rolling Shutter Compensation (RSC) technologies to reduce the jello effect. Also, there are bundled AI enhancements to uplift your photos as well as dual 4G SIM support via MediaTek 4G LTE WorldMode modem. The octa-core (ARM Cortex-A53) MediaTek Helio P35 SoC comes with a maximum clock speed of 2.3GHz, paired with up to 6GB of RAM. The chip also supports a dual rear camera setup with 13-megapixel sensors and has Bluetooth v5.0, Wi-Fi 802.11ac, and dual-4G VoLTE connectivity options. Next story Royal Enfield Classic 350 Redditch ABS Launched In India. Previous story Samsung India to launch 3 Galaxy ‘M’ phones in January.